Have a look at these two photos. Do the cars look familiar? The story behind this similarity captures all the elements of spin, but it does have a happy ending. The Toyota racer is the GT-One - a car which grew from collaboration of three entities - Toyota Team Europe/TOMS Toyota/Racing Technologies Norfolk. The Bentley is the Speed 8. As Pulitzer prize-winning automotive writer Dan Neill later wrote in CAR AND DRIVER in 2003: "National identity in big time motor sport is irrelevant." 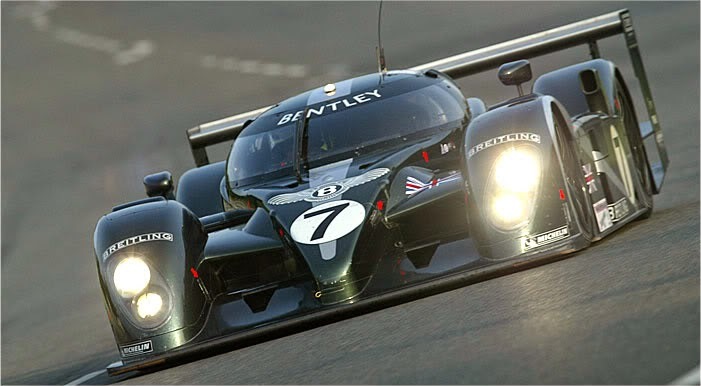 The Bentley Speed 8 has a somewhat convoluted history, linked very closely with the Toyota LM-GTP car above. Volkswagen Group (VWAG) acquired Bentley in 1998, and in 2000 decided, along with Bentley Motors management, to rekindle Bentley's long and successful participation in the 24 hour classic. At the Detroit Auto Show in January 2001, Bentley announced a three year program to return, and win at Le Mans. And, this is where the story gets interesting. In the mid 90s Toyota Team Europe (TTE) got together with Dallara to developed a car to compete in the Prototype division at Le Mans. A great deal of the development work was sub-contracted to the late Richard Lloyd in Norfolk, England. 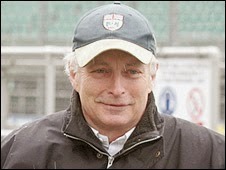 Lloyd had an impressive reputation in British motor sport, as a driver, tuner and constructor. 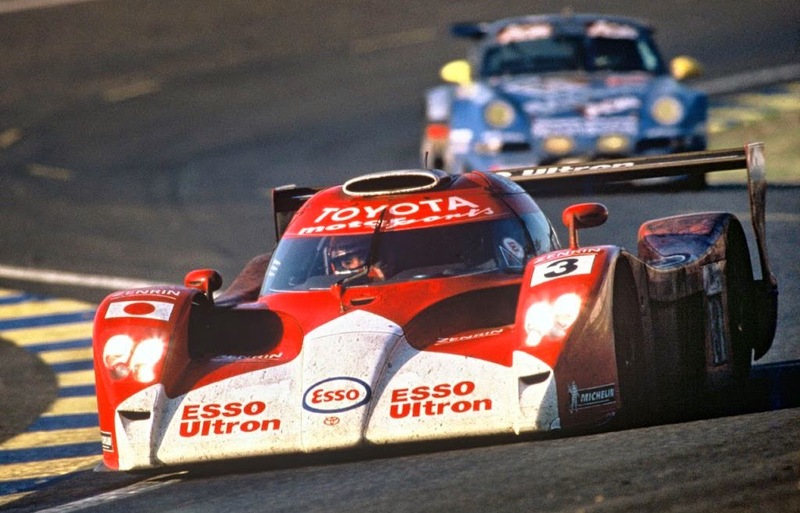 The TTE-Toyota prototypes subsequently endured an inconsistent racing performance in France, and in 1997 TOMS Toyota (a private Japanese racing company, funded almost totally by Toyota) joined Richard Lloyd, who had now formed RTN (Racing Technologies Norfolk) to develop the Toyota GT-One. The GT-One competed in 1998 and 1999, finishing second in 1999. As the worm turns, Volkswagen had also contracted RTN to develop the Audi prototype R8C and R8R racing cars for Le Mans, initially using a modified version of the Dallara-Toyota chassis, and a new Audi-designed V8 engine for the R8C. In 2000 Volkswagen decided to acquire RTN completely to prepare, manage and run the Bentley race program, and RTN's in-house designer Peter Ellery was commissioned to re-design what was the GT-One for Bentley's campaign. So the Bentley campaign follows Neill's dictum that national identity in big time racing is irrelevant. Regardless of whatever spin the Bentley boys created for the media. 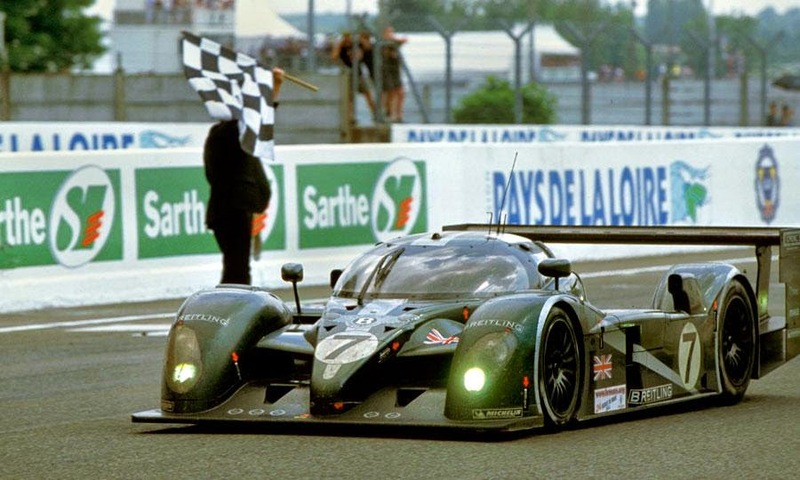 We have a British-designed body, on a Japanese-British chassis, using a German engine, which combined to ultimately win the 2003 24 Hours of Le Mans. Thereby providing a happy ending for the Crewe-based manufacturer of some of the world's most beautiful high-performance luxury cars. 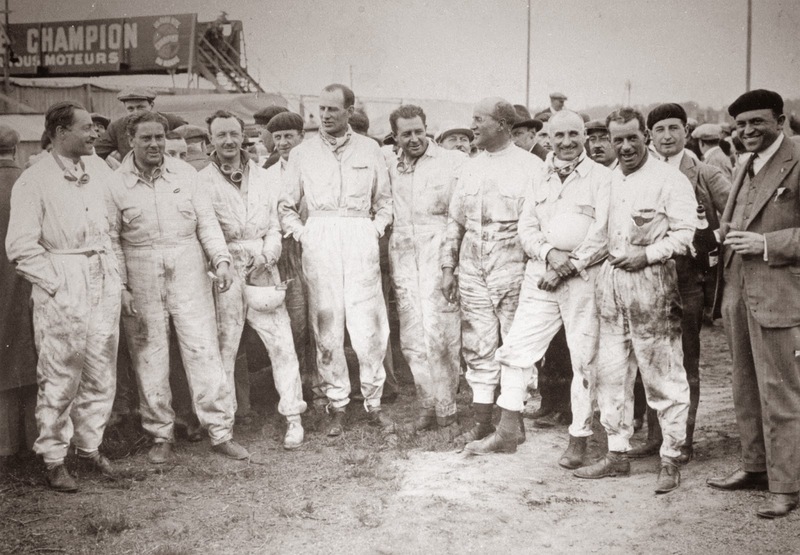 In the late 1920s and early 30s Bentley won Le Mans five times in seven years; then returned in 2003 to deliver a victory to bolster its modern credentials. 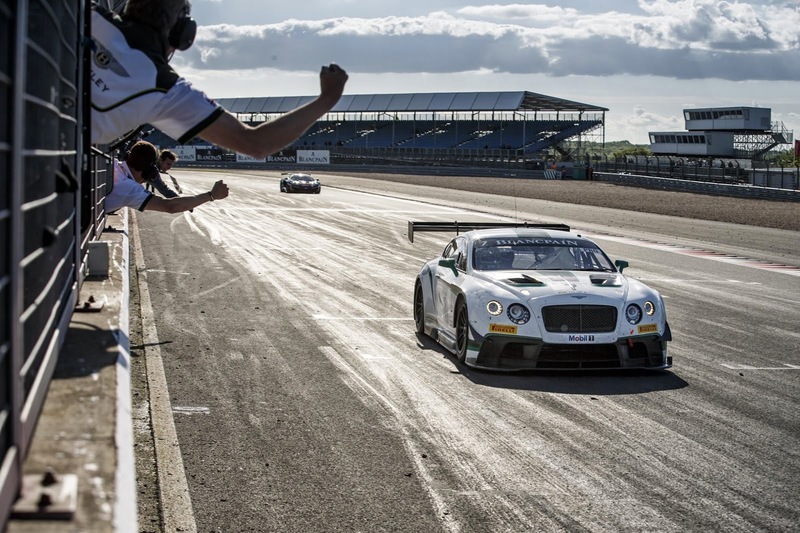 As of last month, Bentley's latest foray into motor sport produced another great win, this time in the GT3 category at Silverstone! 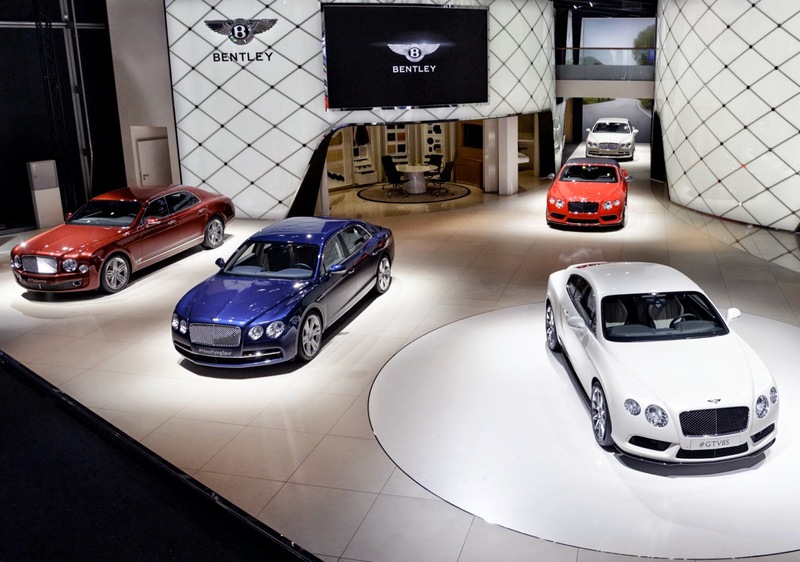 Last year Bentley Motors produced and sold a record number of cars, and for Volkswagen the profits from that result makes for a really happy ending!